Before consideration of any matters, the council opened the floor to local residents who wished to speak. 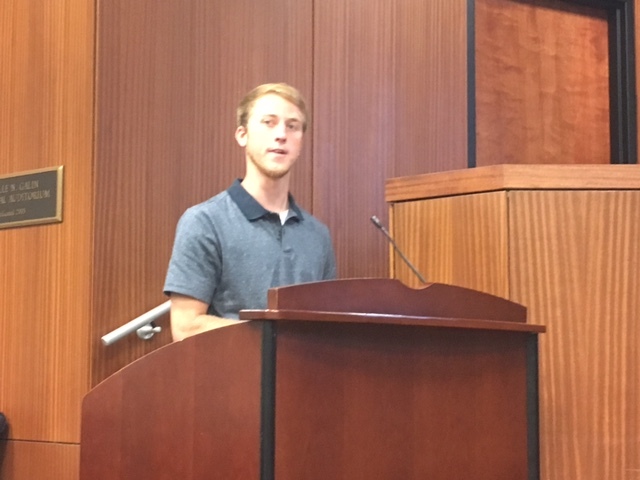 Joe Wilhite, who recently expressed his displeasure to the City Planning Commission about the proposed expansion of the special events district, took the opportunity to inform the council of his opposition to expanded opportunities for alcohol sales. When the public hearing into the district expansion began, though, Wilhite remained silent while Cullman Parks and Recreation’s Waid Harbison and Ron Pierce of the Downtown Merchants’ Association both came forward to voice support for the expansion. In the end, the council, having received a favorable recommendation from the Planning Commission, voted unanimously to expand the district as noted above. The council also approved a request from Shane Quick for a Class 3 Restaurant (multi-vendor) alcohol license for Mae’s Food Hall. A request from Waid Harbison from Cullman City Parks and Recreation for a special event permit to hold the ASA National Archery Tournament at St. Bernard Abbey starting Aug. 3, 2017 at 6 a.m. and ending Aug. 6, 2017 at 6 p.m.
A request from Chris Van Dyke from Mental Healthcare of Cullman for a special event permit to hold the 11th Annual Oktoberfest 5K and 10K runs starting at 8 a.m. on October 7, 2017. A request from Waid Harbison from Cullman City Parks and Recreation for a special event permit to hold the annual EvaBank Midnight Run 5K starting at Midnight on Aug. 4, 2017. A request from Ron Pierce from Cullman Downtown Merchants Association for a special event permit to hold Celebrate Cullman on Aug. 4, 2017 from 4 p.m. until 9 p.m. in the special events district. This event will coincide with the second day of the ASA archery tournament, in order to draw tournament competitors and attendants into the downtown area. The Cullman City Council typically meets on the second and fourth Monday evenings of each month at 7 p.m. The public is invited to attend.